If you’ve ever wondered why nobody has yet reimagined the De Tomaso Pantera – a completely legitimate thing to wonder, we feel – then you might want to bookmark Ares Design. Announced late last year, ‘Project Panther’ was proposed as a modern take on the aforementioned 1970s supercar. Familiar yet modernised styling was a given, while the powertrain would be sourced from Ares’s fellow countrymen at Lamborghini, in the form of their V10 – albeit expanded from 5.2 litres to 5.6. 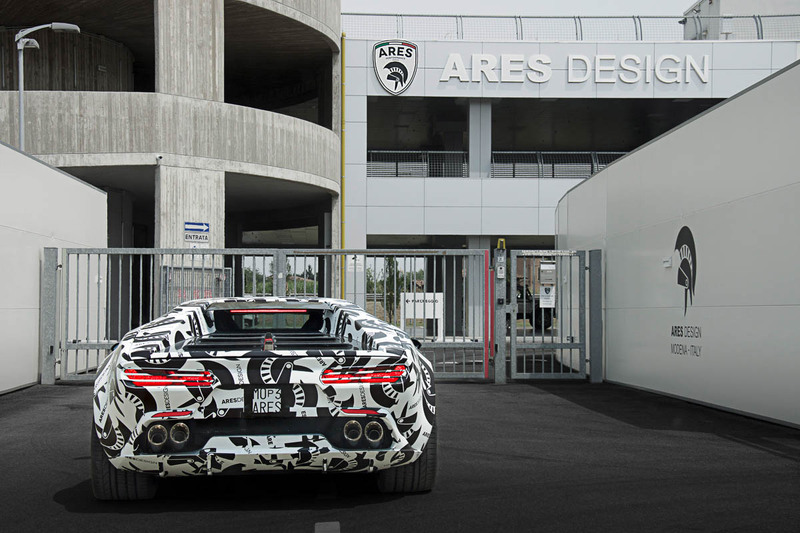 It has now been confirmed that the car will be named the Ares Panther, and that it is currently undergoing the final stages of handling and ride set-up around the Emilia-Romagna region in northern Italy. Led by Ares founder and CEO Dany Bahar – a name you may be familiar with from his not-entirely-successful time at the helm of Lotus – and technical director Matteo Vezzani, the company will build 21 examples of the carbonfibre-bodied supercar. Each will also get a carbonfibre and aluminium chassis, which will cradle the 650bhp, 413lb ft Lamborghini-derived V10 and a seven-speed dual-clutch transmission. Styling is as important as the engineering for the Panther, particularly given the car’s spiritual predecessor, and it’s clear from both the early images and the more recent shots of the car in (unsubtle) camouflage that the original Pantera’s lines have been largely retained. That extends to a feature we haven’t seen for many years in the new-car market: pop-up headlights. It remains to be seen how Ares has dodged the limitations that originally saw them erased from production cars – they disappeared in 2004 with the demise of the Lotusv Esprit and ChevroletCorvette C5 – but it’s certainly a unique selling point. If all goes well, it won’t be the last interpretation of a classic design we see from Ares either. Bahar and Ares’s plans revolve around a ‘Legends Reborn’ series of cars, which will resurrect several iconic sports and supercars from the past – all coachbuilt in Modena and personalised to each owner. Production of the Panther begins in October, with a starting price of $586,500. Each build will take approximately 24 weeks and all of 2018’s slots are full, but with other ‘Legends’ in the pipeline, we’re intrigued to see what follows.